The hype for USC quarterback Sam Darnold has b3en growing by leaps and bounds the last few weeks, to the point where many feel he’s going to be the first overall pick in the NFL Draft in April. At 6-4, 220 pounds, he’s got the look of a player who with some time learning could be a very good to excellent quarterback in the NFL, but time will tell when he might get that chance. 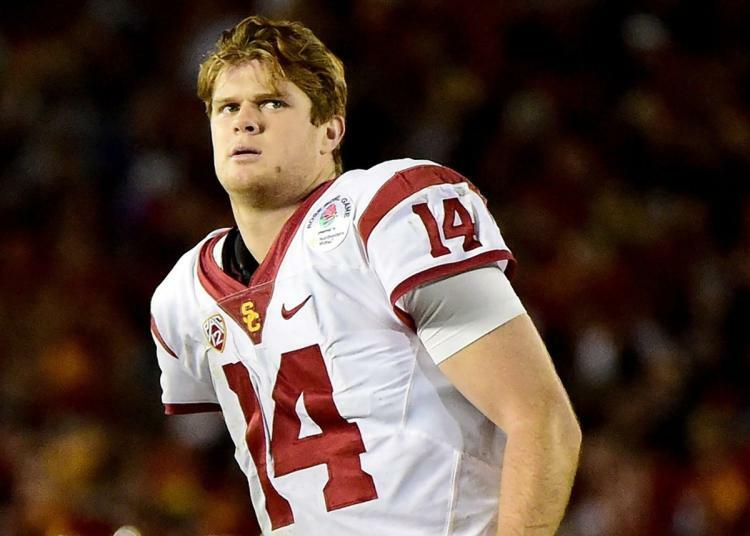 In his final season at USC, Darnold threw for 4143 yards, with 26 touchdowns to go along with 13 picks. This after throwing 31 touchdowns and nine interceptions the season before. Here’s a look at Darnold and what various places are saying about him in our latest scouting report. Summary: Darnold took college football by storm during the 2016 season, and even though he wasn’t eligible for the 2017 NFL Draft, the redshirt freshman had scouts buzzing about his pro potential. After a 1-2 start to the 2016 season for USC, Darnold was made the starting quarterback. For his debut season, he was an extremely efficient passer who led the Trojans to a 10-3 record. Darnold lost his first-ever start against a good Utah team, but after that he led his team to ripping off a nine-game win streak to close out the year, including impressive wins over Colorado, Washington, and a comeback Rose Bowl win over Penn State. Darnold completed 67 percent of his passes in 2016 for 3,086 yards with 31 touchdowns and nine interceptions. The 2017 season was more of a mixed bag for Darnold. The redshirt sophomore completed 63 percent of his passes for 4,143 yards with 26 touchdowns and 13 interceptions. He had an up-and-down season with too many turnovers – fumbles were a particular issue beyond the interceptions. Darnold also made some beautiful anticipatory throws with excellent accuracy in just about every game. There is a lot to like about Darnold as a future starter in the NFL. First and foremost, he is an accurate pocket passer who throws with good ball placement and is very precise in the short to intermediate part of the field. Darnold has excellent anticipation to know when and where receivers are going open. With his feel and timing, Darnold hits receivers on the run, leading them to picking up yards after the catch. He also regularly will throw receivers open and help them to find space to beat tight coverage. Darnold is a natural rhythm thrower who would fit best in a West Coast system to maximize his ability to throw accurately in the short to intermediate part of the field. He is a smooth precision passer who can be deadly when he gets into a good groove. Darnold is comfortable in the pocket, but also has the ability to move around to buy time. While he is not a running quarterback, he is functional to avoid sacks and will move around to help his offensive line and receivers. Darnold made a number of really nice plays during the past two years when things went off script as he got creative to move the ball for his offense. Routinely, Darnold would buy time with his feet and then make an accurate throw downfield with the rush closing in on him. In my eyes, Sam Darnold is a very odd prospect. Talked about as a number 1 overall draft pick. Talked about as the best Quarterback coming out of college this year. However, I am not seeing any of this. When I watch Darnold, I see one of the most streaky Quarterback play I think I have seen in awhile. At time looks very hesitant to throw, missing an opportunity. Other times he looks too eager and makes a bad decision. He has his good moments, but then a play later he will have a combination of bad plays. Moving in the pocket too early and too often, inconsistent accuracy, and staring down a play for too long are major turn offs to me. The first thing I notice about Darnold when watching him is that he seems to ignore his dump off routes. He seems so locked in on making a big play, he forgets about the guys that are 5 yards away from him. I can respect wanting to make a big play for the team, but after staring downfield for eternity it’s time to hit your shallow routes. At least LOOK at them to see if they are open. There is no shame in taking an easy three to five yards. Not every throw has to get the crowd on their feet. The second thing I notice is how much he likes to move around in the pocket. And that is just not his style. I get running to avoid a sack, but too many times I saw him run with a clean pocket. Multiple times he would take off to the outskirts of the pocket, making it easier for defenders to get off their block. He seems to just panic unless he has the cleanest pocket one could possibly have. If he would stand tall in the pocket and deliver, his accuracy issues would go down as well. His deep balls are inconsistent, and the times he does go to dump it off, those are not always pretty either. His best throws come from his 10-15 yarders. Which always happen to be when he stands his ground. I will say though, 4th quarter Sam Darnold seems to be a better player than in other quarters. He reads the field better, has better ball placement, and doesn’t try to run around as much. It just seems something clicks a bit better for him during the 4th. Like he has calmed down. He just needs to be able to play similar to that all game if he is gonna be the number 1 overall pick this upcoming draft. I think Darnold has a lot to work on. Personally there are 4 other Quarterbacks I would take before drafting him. He does good things, unfortunately, his good things just are not consistent enough and are overshadowed by his flaws. I believe if he can work on sitting in the pocket longer instead of trying to escape right away (while not holding the ball for too long), a lot of his issues will start fading. I think Darnold will have a real rough start to his career, but if keeps his confidence and keeps fixing his game, it will work out for him in the long run. Darnold’s entire game is predicated upon his ability to create. Darnold is an athletic player; he is able to pull the ball down and gain chunks of yardage with his legs. His agility and change of direction catch many defenders off guard. That is why offensive coordinator Tee Martin built an offense that maximized his legs. USC ran a heavy dose of run pass options (RPOs), a concept that gave Darnold many options pre- and post-snap, and he absolutely flourished. On a majority of their plays, Darnold had the ability to give the ball to star running back Ronald Jones, keep it as a runner, or throw it to one of his many weapons outside. This multi-dimensional structure of a play was obviously super productive. His decision making was very good all season, especially on these RPOs. He can process the coverage, find the conflict defender, and distribute the ball quickly. But what is often overlooked is the accuracy and velocity needed on these kinds of concepts. At times, after the mesh with the running back or play fake, the passing lane is cluttered with defenders coming downhill to defend what they perceive to be a run. Once they realize that it is a pass, they immediately try to get their hands up in the passing lanes. Darnold makes these throws look easy. Standing at 6’4? and 220 pounds, he is able to place the ball in optimal locations, allowing his weapons to make plays. At the next level, Darnold is going to make his money in the short area. While his elongated release and sloppy footwork will cause issues at times, something I will cover later, it isn’t an issue from 0-9 yards. That bodes well for Sam, because that is where football is won and lost on Sundays. His mechanics aren’t an issue because he is throwing in rhythm and not having to worry about mechanics. According to SportsInfo Solutions (SIS), Darnold’s short game is phenomenal. From 0-9 yards, he had the highest completion percentage (75.4%), the 4th-most passing yards (1,534), 12th-most touchdowns (10), the 3rd-highest yards per attempt (7.6), and the 5th-highest rating (107.2). As productive as Darnold was over his 27 games at USC, he has some serious flaws that need to be addressed, the first of which is turnovers. Darnold threw 22 interceptions over two years and added another 20 fumbles. This lack of ball security will get you benched quickly. While the offense surrendered an average of 2.14 sacks a game and a grand total of 30 sacks in 2017, he admitted that he was pushing it too much. Many of his turnovers are linked to his mechanics. Darnold has some of the worst mechanics I have ever seen from a quarterback. Let’s start with his delivery. Typically, a quarterback with an elongated delivery like Darnold’s will struggle at the next level. From the time he begins his delivery to the time of release is often the difference between a tight window completion and an interception. Defensive backs are just too good on Sundays. If he is slightly late anticipating a throw and needs to drive a pass, the split second longer that it takes to release the ball due to his delivery could lead to an interception, much like it did versus Washington State. The safety bails post-snap, baiting Darnold to throw the speed out as he gets the 1-on-1 coverage. The defensive back reads the route, breaks, and picks him off. A two-year starter at USC, Sam Darnold is widely praised for his toughness, football IQ and leadership. A coach with the Trojans told me Darnold only cares about football and not the benefits of being a star quarterback. He did turn the ball over 22 times in 2017, which should at a minimum send scouts back to the tape to find the context of each turnover. But Darnold’s tangible and intangible traits are tops in the class. Just say no to a QB in the top three rounds this year. I still think they should sign JOHNATHAN HANKINS at NT/DT. In the draft, we have the option of taking a DT, OG, RB, S, CB, even an ILB because having HANKINS would take the pressure off the #13 pick. Which of those aforementioned positions? Depends who’s on the board at #13. S – DERWIN JAMES or MINKAH FITZPATRICK would be good. and finally, getting either NT/DT VITA VEA or DaRON PAYNE would not be necessary with HANKINS signed. That said, having either of those choices would be great if the three d-backs mentioned are off the board at #13. RB – DERRIUS GUICE not with a #13 pick. Second or later for the RB pick. OG – Consensus says QUINTON NELSON will be gone top 10. I don’t see any offensive lineman such as MIKE McGLINCHEY, WIL HERNANDEZ, or BILLY PRICE being worthy of a #13 pick. Consequently, I would not take an o-linemen in the first round unless we trade back for more picks. Short that scenario, I might consider an o-line pick at #44 with C BILLY PRICE falling out of the first round due to his recent pec injury. Depth at quality RB available this draft, and I feel leave running back for #109. Of course, all that changes if HANKINS is not in the house. But QB? NO, no, a thousand times no. April 2 and no HANKINS, so…. 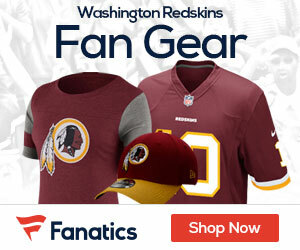 Sign PHIL TAYLOR Sr., and…. I’m assuming DENZEL WARD, MINKAH FITZPATRICK and DERWIN JAMES are gone at #13. This mock gets two starters on the lines, one on offense, one on defense, and short of a back-up apiece finishes the two lines rebuild started four years back. With a number of picks in 2019, those can be accomplished then. More important than a starting RB is the need for a developmental QB, and LAULETTA is the man if still on the board at 109. Otherwise, a RB in that slot. Another back-up CB, then excellent players at RB, WR, TE, and DE. Only safety has not been addressed. Hopefully FISH SMITHSON is as good as I think he is, and proves it this year.